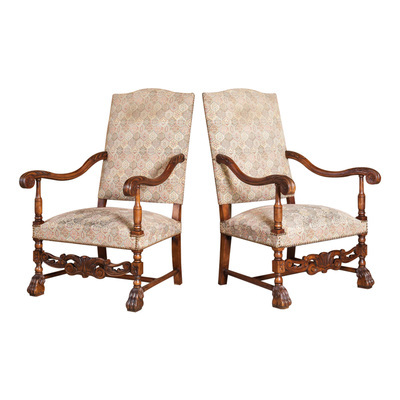 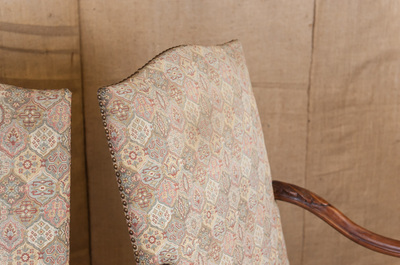 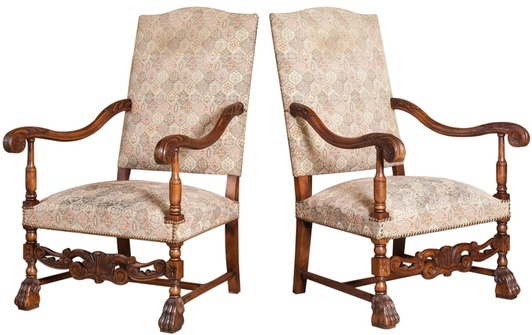 Pair of antique French Louis XIV style fauteuils. 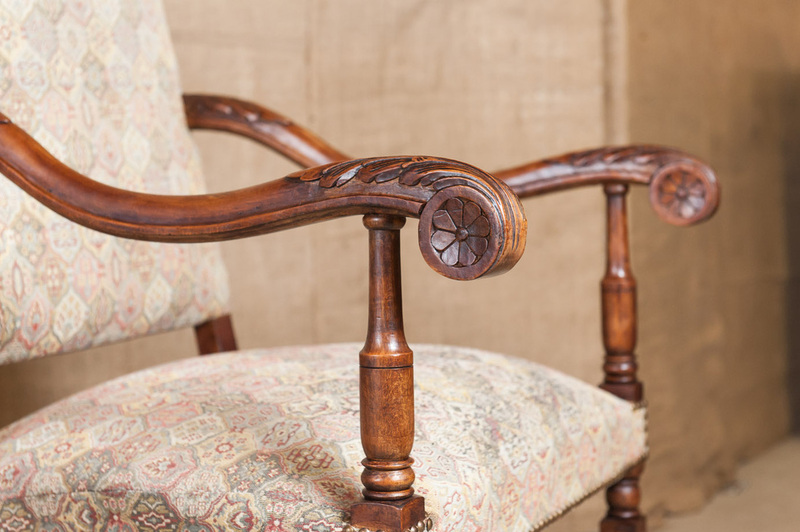 Circa 1830's. 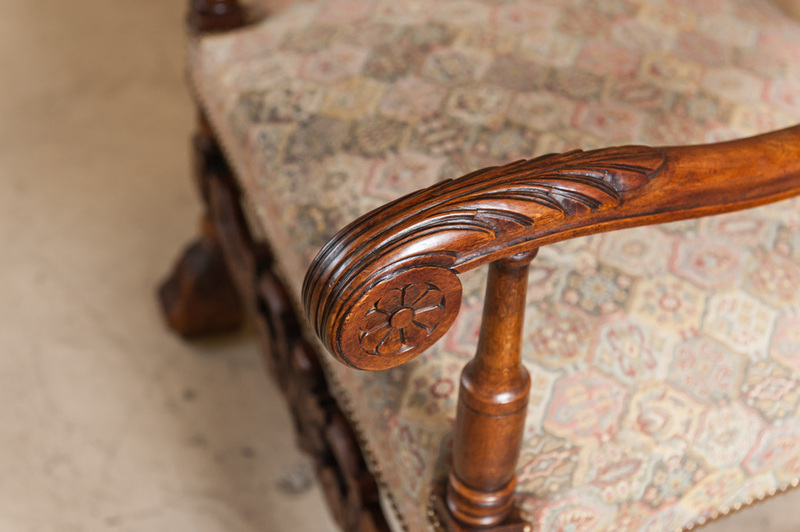 Solid, carved walnut. 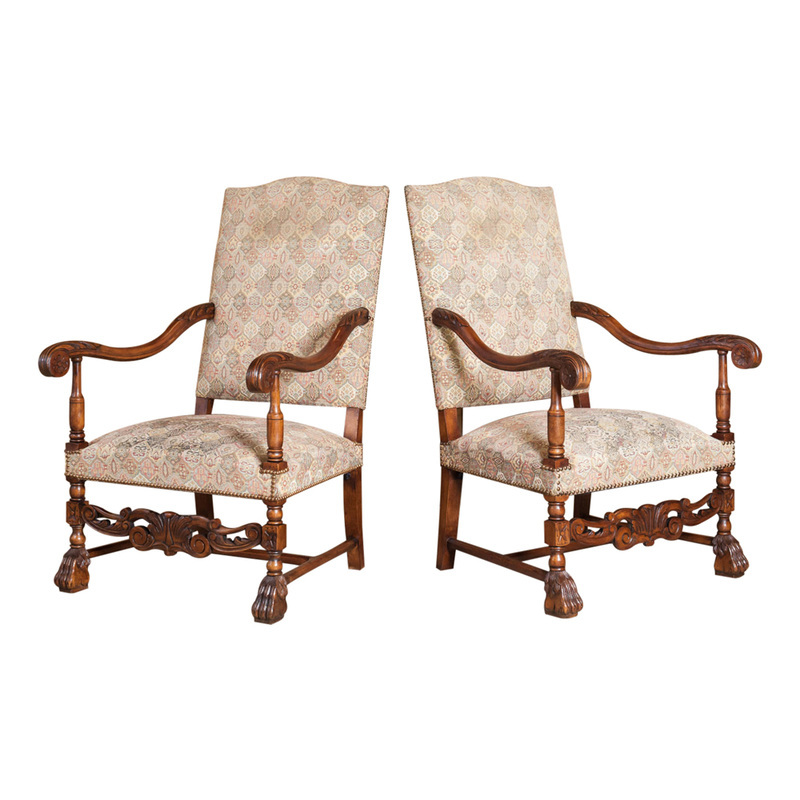 Each with arched upholstered rectangular back, volute acanthus carved armrests terminating in sunflowers. 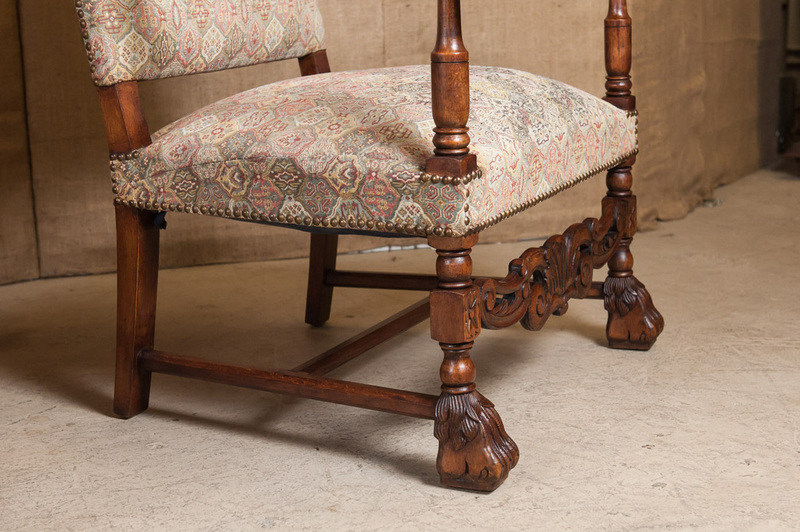 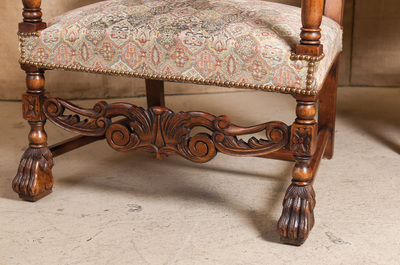 Rectangular seat raised on bobbin turned legs joined by ornate carved splat and terminating in paw feet. Close nailhead trim.